With aspherical polymer lenses, you can prevent imaging errors. Injection molding and stamping procedures are used to produce optics with aspherical surfaces at the same cost as spherical optics. 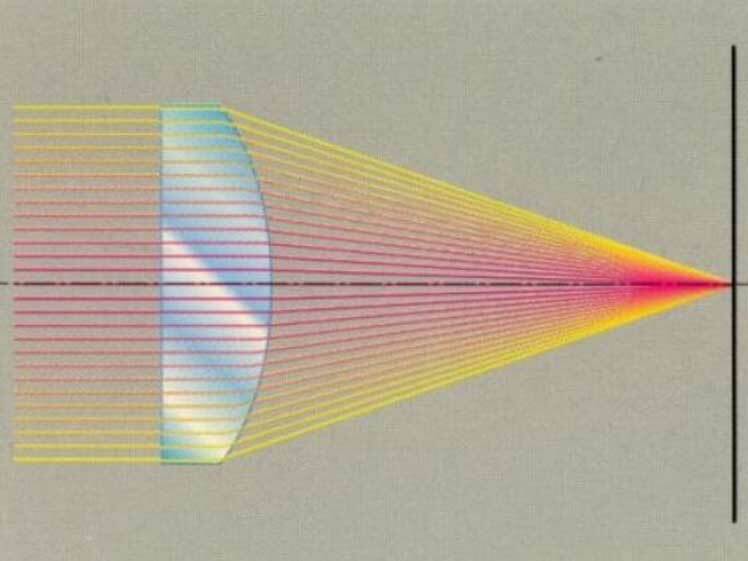 Our aspherical polymer lenses have a non-spherical surface to improve the quality of optical images. 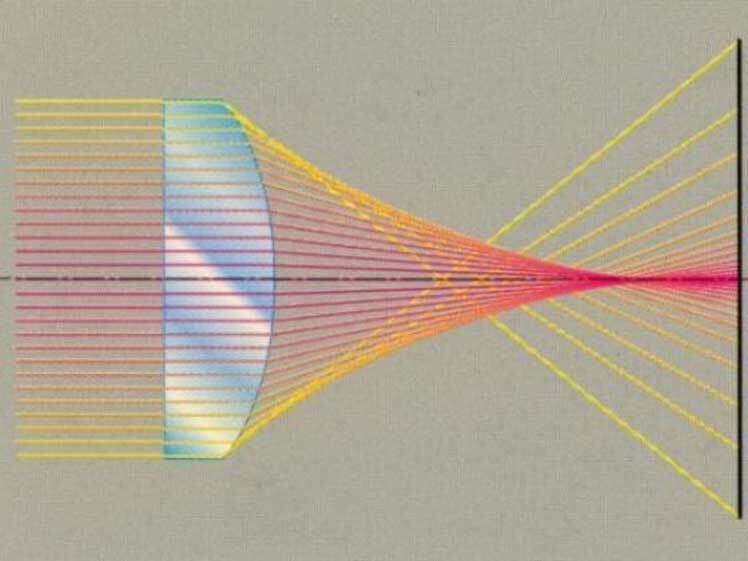 Using a diamond processing method, we are able to produce high-precision aspherical lenses and tool inserts very efficiently. We use these in turn to mold aspherical polymer lenses. 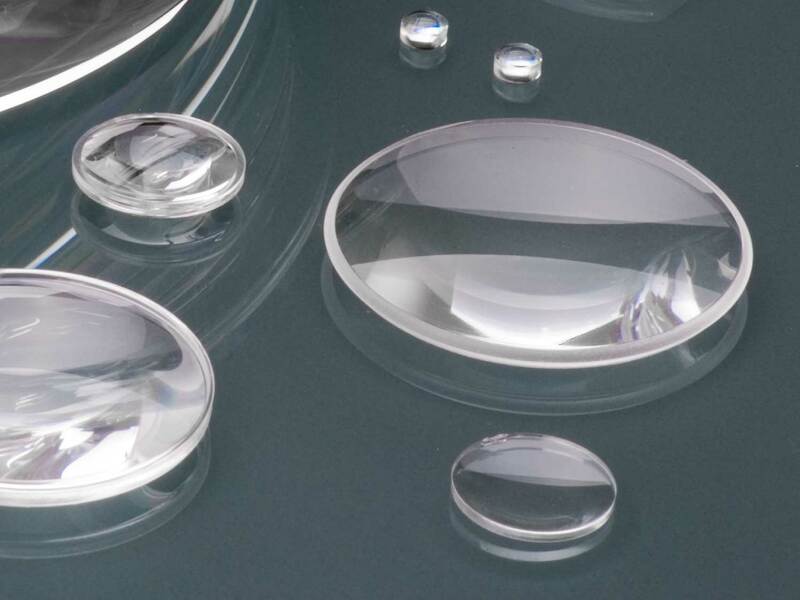 Depending on the size and shape, these lenses can achieve a global dimensional accuracy of PV < 1µm and micro roughness of Ra < 10 nm. With the injection molding and stamping procedure, aspherical polymer surfaces can be molded just as precisely as spherical surfaces — for the same cost. Therefore, aspherical contours are therefore widely used in polymer optics.